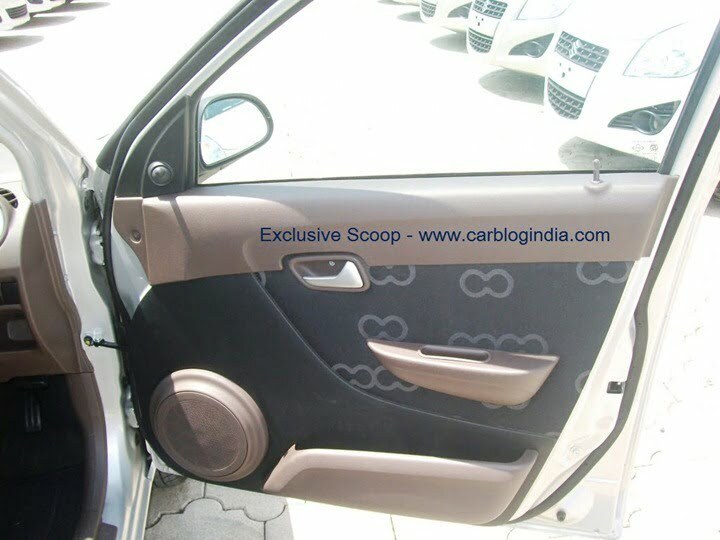 One of our valuable readers has sent us some very juicy details of the most awaited launch of this festival season- 2012 Maruti Alto 800 which is due for launch in a few weeks from now. Maruti Suzuki will soon launch this car in India and it is expected to be launched with a factory fitted CNG option as well. 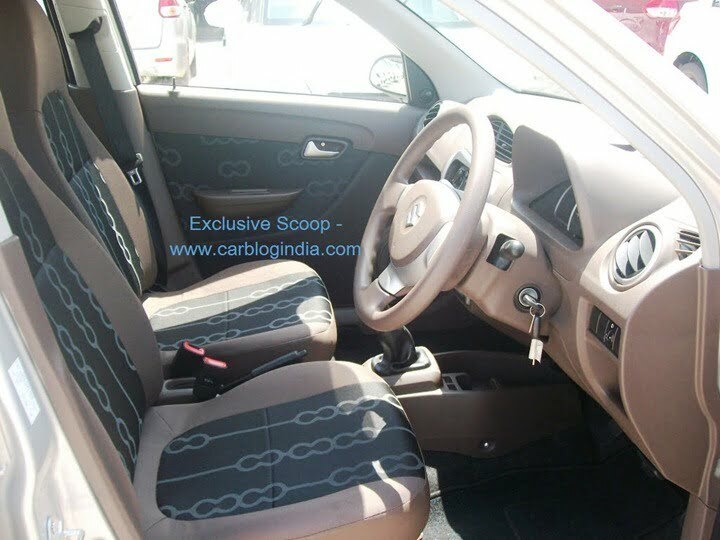 In this article, we share with you one of the best quality pictures shared so far with clear pictures of Interiors and some features of the Maruti Alto 800 leaked via these images. 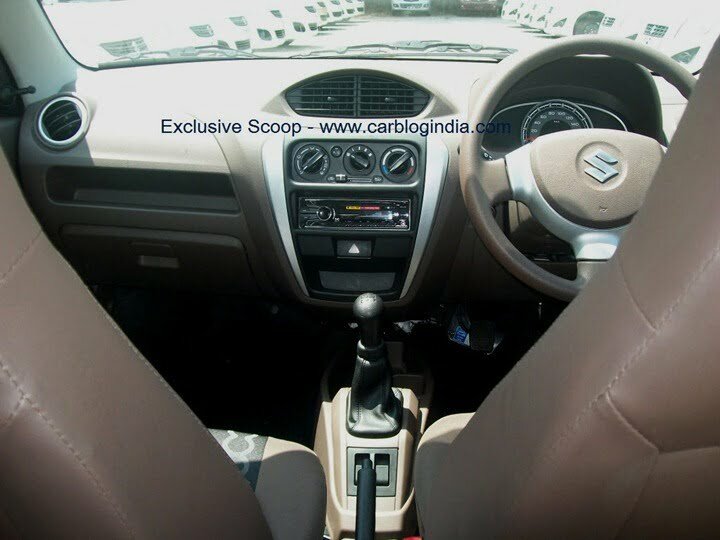 What you see below is the first clear pictures of the Maruti Alto 800 which comes in beige and silver finish interiors with the much attractive dashboard design compared to the previous generation Alto. The 2012 Alto 800 has steering wheel with silver and beige finish, the central console has round AC knobs, oval shaped central AC vents, Single-DIN audio system below it (which may not be standard), some storage space above the glove box and rounded AC vents at the two ends of the dashboard with silver finish. Talking of the seats and interiors, the front seats have integrated head restrains and are contoured quite well. The premiumness factor has been increased with the use of light colours on the interiors which includes beige and black interior trims and upholstery with fabric door trim, silver finish on inside door handles, front power windows etc. The power Windows switches have been shifted to the central area from the door trims just below the gear knob and between the parking hand brakes and gear knob. This does save some cost as wiring though door trims is reduced and there are use of two switches which both passenger as well as driver can use instead of 3 switches (2 on driver side and one on passenger side) in conventional front power windows setting. The front door trim also reveals the use of beige and grey plastics and fabric trims. The outside rear view mirrors are black in colour but internally adjustable manually, another good move in cost cutting but maintaining good functionality for the convenience. There is also space for mounting speakers in the doors with round mesh. Also there is a large map pocket in the door trim which comes in handy for small storage needs. Finally a full frontal view of the 2012 Alto 800 in silver colour in high detail. 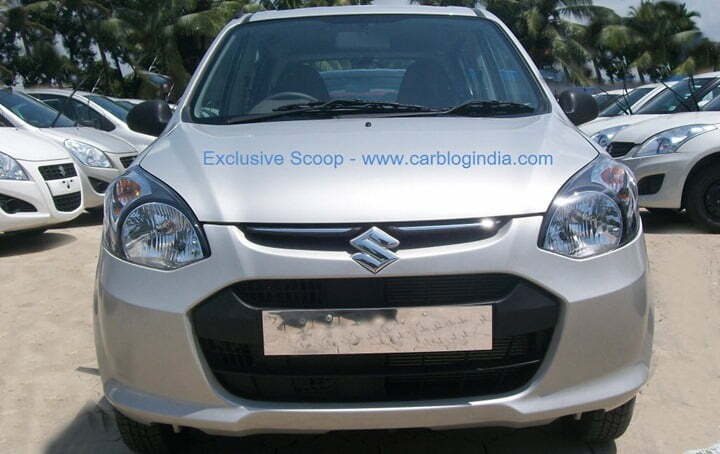 You can clearly see the horizontal chrome strip above the Suzuki logo in the middle of the grille. The clear lens headlamps sweeping to sides and pointed towards inside, large hexagonal grille and air-dams give it a much more premium look when compared to the older generation Alto. All in all, 2012 Alto 800 is quite an upgrade compared to the Alto 800 CC old model. You can expect the prices to start from around Rs. 2 Lakh price tag which will be lower than the prices of the older model. We will keep an eye on the developments and will keep you posted. We thank our reader for these pictures. You can check out more details on the 2012 Alto 800 here. Note to fellow bloggers and webmasters – Please credit back to this article page with a link-back if you use above images, Thanks. 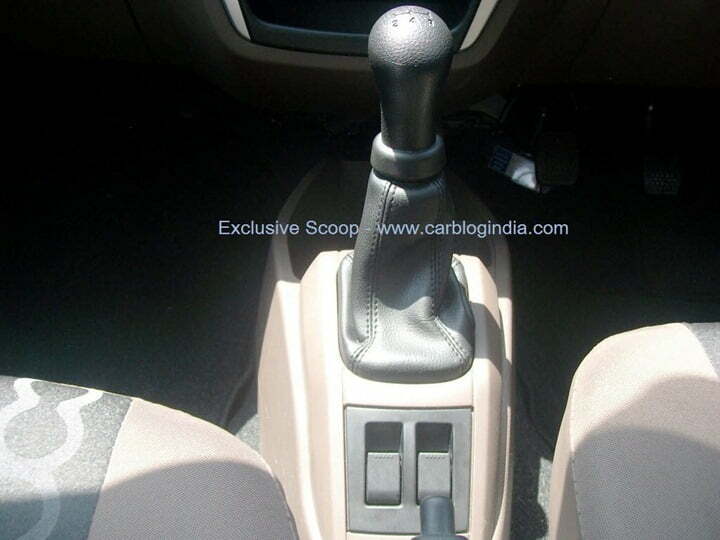 2012 Maruti Alto 800 has been launched at Rs. 2.44 Lakhs. Detailed price list of Maruti Alto 800 here.